The confidence of wage-earners, who depend on an administrative "safety net" to protect them from loss of income, has virtually disappeared. Social exclusion and poverty have become inescapable threats for the average worker. It was to tackle this enormously important issue that the European Institute of Social Security (EISS), a leading multidisciplinary research group dedicated to exploring the frontiers of social security, met in June 2000 in Göteborg in Sweden. objective standards vs. "moral hazard" in labour market insurance. 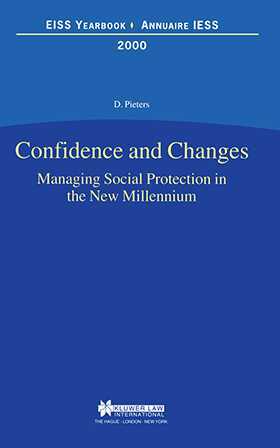 Various reform initiatives (including the controversial debate on private sector funding) are also covered, making Confidence and Changes the most wide-ranging and provocative book on the subject available today.